We love connecting with the community so you can regularly find us hosting or vending at events in the area. New events are added to the calendar all the time so please check back, follow us on our social media pages, or sign up for our mailing list to stay up to date. If you are hosting an event and are interested in our participation please feel free to reach out! We’re running an Indiegogo crowdfunding campaign to jumpstart the exciting projects we have underway! Check out our campaign page to learn more about Anything But Beer and find out what’s on the horizon for us this year. Join the email mailing list to be informed of when we launch and to qualify for early bird donation perks! Come join Anything But Beer as we pour some of our favorite brews with our friends at Delta Hotels by Marriott Utica! ON SATURDAY, VISIT US AT THE CNY REGIONAL MARKET IN SYRACUSE. THIS FARMERS MARKET HAS BEEN SERVING CENTRAL NEW YORK SINCE 1942 AND WE’VE JOINED IN ON THE FUN! COME GET ANYTHING BUT BEER GROWLER FILLS AND 4-PACKS FOR ALL YOUR WEEKEND FESTIVITIES! Come join Anything But Beer as we wrap up our Indiegogo Crowdfunding Campaign with our friends at The Ice Cream Stand! We will be pouring tasting brews along side some delicious scoops! You won't wanna miss out! Did someone say alcoholic milkshakes?! SKY Armory's Night Market is a bi-annual event that brings Syracuse's creative community together under one roof. Enjoy funky cocktails, fresh a la carte dining and desserts courtesy of SKY's culinary team, and live entertainment from local bands as you shop for unique gifts. This urban pop-up market features local and regional artists, designers, and retailers. Come join Anything But Beer as we pour some of our favorite brews with our friends at the Syracuse Cooperative Market! Come find Anything But Beer beside many other amazing vendors and artisans at the very first Crafted Handmade Market, brought to you by Rail Line and Wildflowers Armory. We are so excited for this new downtown market and look forward to seeing you there! Come join Anything But Beer as we pour some of our favorite brews with our friends at The Beer Market! 40th Anniversary Screening of Monty Python's "Life Of Brian"
What did the Romans ever do for us? They gave us Monty Python's brilliant Life of Brian - see the unforgettable cult classic that has given us decades of laughter on the big screen on 18 April! FIND US BESIDE MANY OTHER AMAZING VENDORS AND ARTISANS AT THE SPRING SPECTACULAR CRAFTS & VENDOR SHOW AT TURNING STONE CASINO! WE’LL BE FILLING GROWLERS AND SELLING 4-PACKS OF YOUR FAVORITE GLUTEN FREE AND VEGAN CRAFT BEVERAGES. AND WHEN YOU’RE DONE SHOPPING, THE POKER TABLES ARE ONLY A WALK AWAY! Syracuse Fashion Week Spring 19 ends on a luxurious note with the SFW Gala. Showcasing custom made couture designs, formal wear for men & women, and bridal gowns from Syracuse’s premiere designers and boutiques, this is THE event to see and be seen. Get your tickets TODAY...this show has been SRO every year. Tickets are $60 general admission, VIP tables are also available. As always, proceeds to benefit the Food Bank of CNY. On Saturday, visit us at the CNY Regional Market, located at 2100 Park Street in Syracuse. 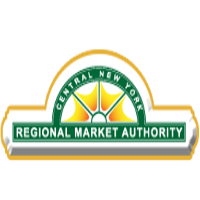 This regional farmers market has been serving Central New York since 1942 and this summer we will be joining in on the fun! Come get Anything But Beer growler fills for all your weekend festivities! Anything But Beer is headed to the 15th annual TAP into the MOST, the Museum's premier beer, wine and spirits tasting event with amazing food from local favorites! Join us for a night of fun with all proceeds supporting science education in our Syracuse community! Regular tickets are $60, and VIP tickets are $90. Additional ticketing details can be found on the MOST website by clicking the event link. A limited number of tickets will be sold again this year, so buy your tickets today! Tickets have sold out the past two years. Must be 21+ to attend with valid ID required for entry. Join us on Thursday, April 11, 2019 for Food Bank of Central New York's 18th annual food and beverage pairing fundraiser, SavorSyracuse. Guests will enjoy food and beverage samples from the area's finest restaurants, wineries, caterers, and breweries. This year's event will be hosted at Marriott Syracuse Downtown from 6:00 - 8:30 pm and will feature a silent auction with items such as restaurant and store gift certificates, beer samplers, and wine. All proceeds will benefit Food Bank of Central New York's hunger relief mission. Come join Anything But Beer as we pour some of our favorite brews with our friends at Oh My Darling! Come join Anything But Beer as we pour samples of some of your favorite products at Branching Out Bottle Shop! Tap Takeover at Stout Beard! Who remembers our very first event at Stout Beard Brewing Company last year?! We're bringing it full circle and headed there this Saturday for a mini tap takeover and would love to see all of our early supporters! We'll be pouring free samples, drawing names for free merch, and celebrating the partnership we've had with the Mike's at Stout Beard since setting root in the craft industry! Can't wait! Come join Anything But Beer as we pour some of our favorite samples at Finger Lakes on Tap in Skaneateles, NY! WCNY and Syracuse Trivia Company present Retro PBS Trivia March 16 from 2–4 p.m. in WCNY’s television studios. Put your old school 80s and 90s PBS throwback knowledge to the test with questions on Mister Rogers' Neighborhood, Arthur, Reading Rainbow, Sesame Street, and more! Enjoy wine samples from Billsboro Winery on Seneca Lake, NY, beer samples from IBU Brewery and Anything But Beer, cash bar, light snacks, retro candy, and cash prizes up to $150. Teams are limited to six people. Learn more and register at wcny.org/events. The New York State Brewers Association is proud to announce the sixth annual New York Craft Brewers Festival taking place at the Desmond Hotel in Albany, New York. Back at it again! Come hang with Anything But Beer at Dreamland Syracuse: March Dance Party! Ladies, get ready for a full night of fun, dancing, and pampering — Amy’s Slumber Party is returning for its 16th year! Anything But Beer is the official beverage sponsor of Amy's Slumber Party! We will be pouring samples and will be available at the bar for purchase. Stay tuned to find out about exclusive giveaways! Check ins are at 4pm, vendors open at 6pm and check out will be at 11am the following day. Two identical nights of pampering, food, drink, dancing, shopping and fun for LADIES 21 and over! This is THE party everyone talks about every year. Shop at over 50 vendor booths throughout the night. Get a manicure, massage, or pedicure — you can even get a tattoo (yes, a real one)! Top off your evening and dance the night away at the ALL NIGHT DANCE PARTY featuring 93Q’s Rick Roberts accompanied on the drums by Taylor Porter of local band The Stacy White Suite! The February 14-17, 2019 Cny Boat Show and Sale will showcase more than 500 all-new models of power and sail boats, including cruisers, sport boats, pontoon boats, personal watercraft, and docks. Come see the largest Upstate selection of boats on display in three huge buildings at the New York State Fairgrounds. Boats will be on display in the Center of Progress, Horticulture Building, and the huge Exhibit Center Building… over 250,000 square feet of exhibit space! In-water demonstrations, NYS Boating Information Center, and much more!